Have you tried facial oil, yet? 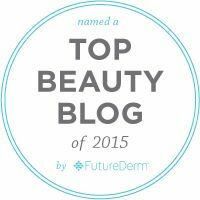 This hot, hot, hot skin care trend remains hot and is going nowhere, soon for a very good reason. Oils are effective, easy to use and compatible with just about every skin type. Oils are also fabulous multitaskers! Today, I am sharing my experience with one such oil. 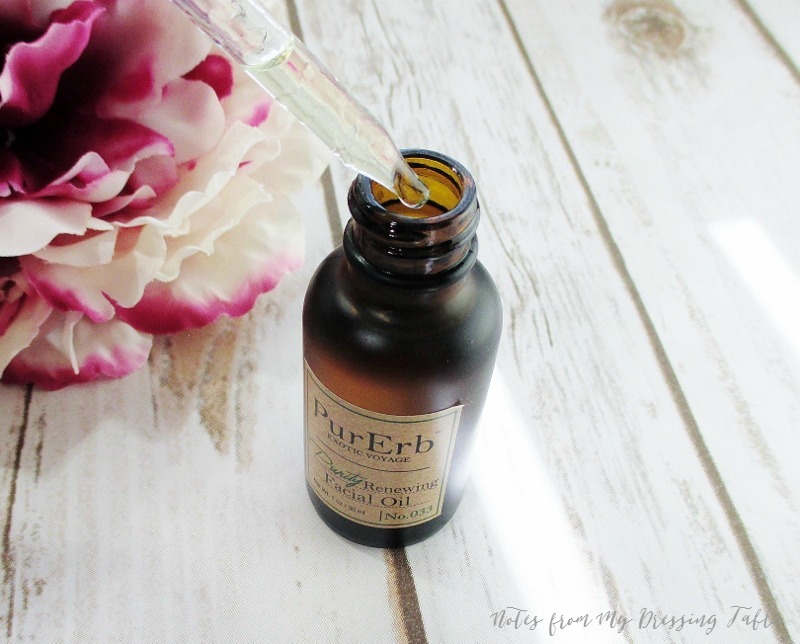 PurErb Purity Renewing Facial Oil is a gorgeous formulation that includes Dilo, Macadamia, Argan, Abyssinian, Juniper, Tea Tree, Carrot Seed and Patchouli oils. PurErb Purity Renewing Facial Oil is packaged in a dark amber glass bottle with a dropper cap and glass pipette for delivery. While the deeply shaded glass protects the contents from natural and artificial light, this packaging is not air tight, as the cap must be opened every time it is used. In my opinion, a pump dispenser would have been a better choice. I also prefer pump dispensers to droppers because, let's face it... 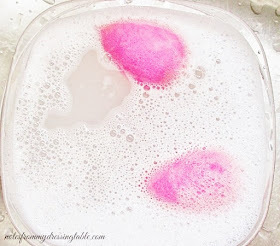 I'm a klutz and more often than I care to admit, something gorgeous and usually spendy ends up splashed out across the surface of my dressing table. PurErb natural oils should be stored in a cool, dry place, protected from natural and artificial light. The oil, it's self is light in color and in weight and the inclusion of Tea Tree makes this a product that should be compatible with many skin types. This oil can be used for cleansing (being careful of the eye area) and in the hair, to keep tresses silky smooth and shiny. 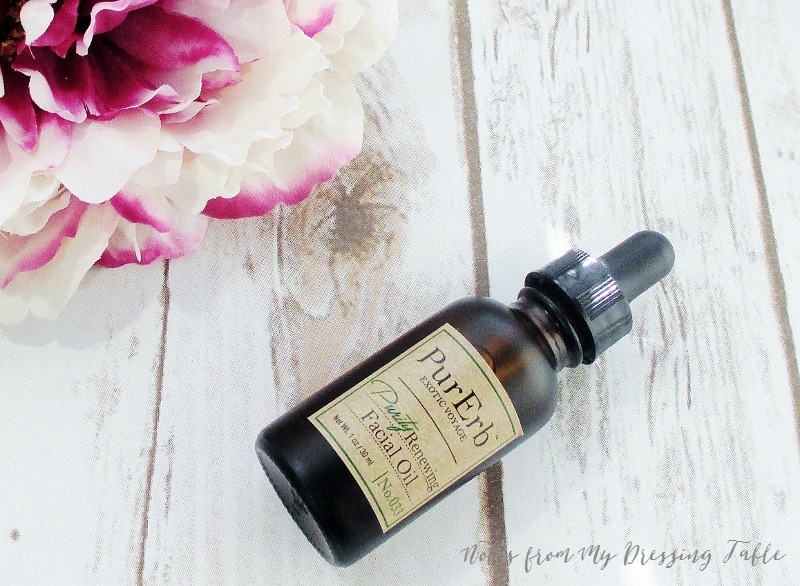 PurErb Purity Renewing Facial Oil couldn't be easier to use. I cleanse my face, mist on my PurErb Bulgarian Rose Soothing Toner then dispense a little of this oil into the palm of my hand. I gently rub my hands together to get an even film then pat and press the oil into my face, throat, neck and upper chest. This oil drops right into my skin, leaving it feeling velvety soft, plumped and hydrated without a greasy after feel. The rich, herbal scent is very appealing to me and I like to cup my hands over my nose and inhale, breathing in the comforting, head clearing scent. Any left over oil is smoothed into the length and ends of my hair and the backs of my hands. No wasting even a drop of this lovely stuff is allowed! As I mentioned before, PurErb Purity Renewing Facial Oil is highly fragranced. If you are scent sensitive or dislike skin care that contains a scent, this oil will not be your cup of tea. I have very sensitive eyes and I find that I can't use this specific oil as an eye cream substitute. 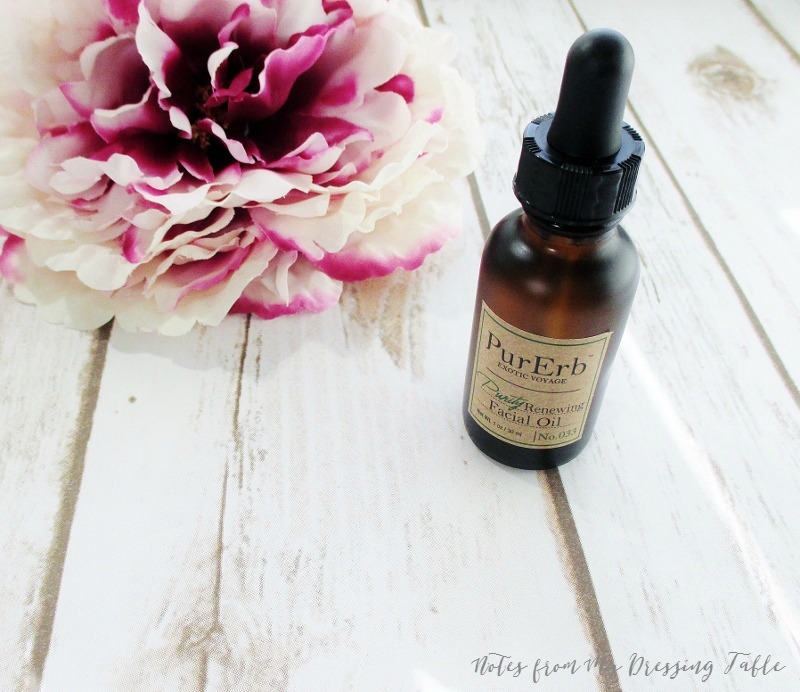 PurErb Purity Renewing Facial Oil possibly contains essential oils that may cause some photo sensitivity and does not provide any UV protection. Daily use of a high SPF, effective sunscreen is suggested. I of course, recommend a good mineral sunscreen for full spectrum UVA/UVB protection. PurErb uses natural, globally sourced oils, essential oils and herbs to hand blend their beautiful skin care products and oil blends. PurErb is cruelty free. Do you use facial oils for cleansing/hydrating your skin?